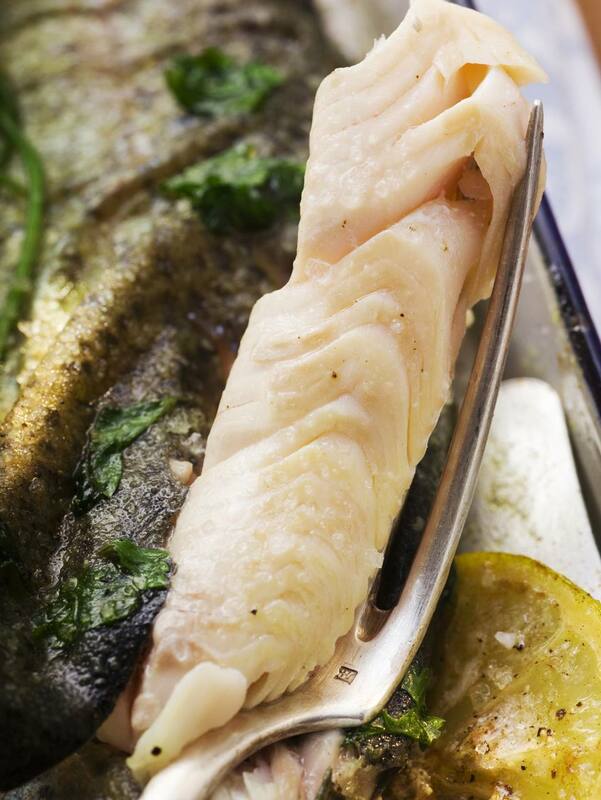 Broiled trout with fines herbes is one of my favorite last-minute meals. You can make your own fresh fines herbes mixture by finely chopping together chervil, chives, parsley and tarragon. But, to make this a truly speedy meal, use a good-quality dried fines herbes mix you find in the spice aisle of the supermarket. Set oven to broil and place a rack on the top level. Cover a baking sheet with aluminum foil and brush it with olive oil. Lay filets skin-side down on the baking sheet. Brush filets with olive oil, sprinkle each with Fines Herbes, and dust lightly with a pinch of Kosher salt. Broil on top rack for 4 to 4 1/2 minutes (5 to 6 minutes for salmon filets) depending on thickness. *Note: You can find any pin bones by placing the flat of your index finger at the top of the filet in the thickest part and pulling it toward the tail. I use a small set of needle-nose pliers to remove these bones. **Note: I particularly like the tarragon in the Fines Herbes mixture with the trout, but Herbes de Provence and Italian herb mixtures are also good.